Grab attention with a limited time offer. Display scarcity to boost conversions. Draw attention and inform users about an upcoming event or an offer. Create a feeling of anticipation and urgency to increase conversion rates. Customize the timers according to the nature of the offering. An evergreen countdown timer is used to display the amount of time a particular user has to avail the offer. This is a great way to create a feeling of scarcity, urgency and exclusivity. Use this countdown to display some special offers to users who have arrived on your website, asking them to avail the offer within the specified time. This countdown timer sets cookies making sure that the offer looks exclusive and scarce. Have an offer that can be displayed to all the users for a limited time after they’ve reached your website? The evergreen countdown timer is what you would be looking for. 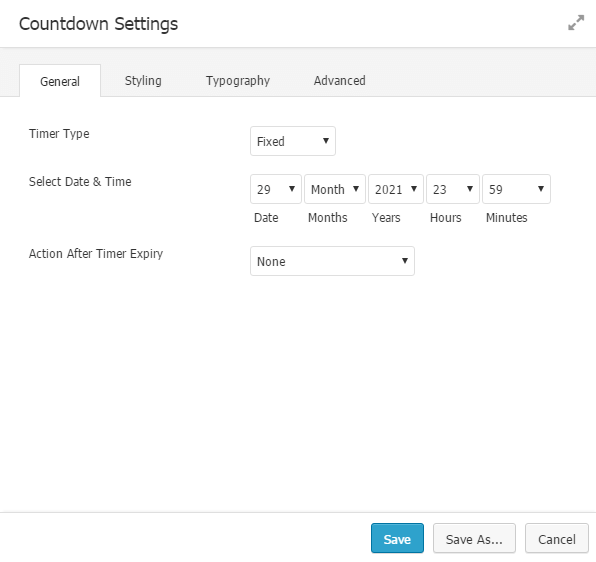 A fixed countdown timer is used to display the amount of time, with respect to years, months, days, etc. This can be used to create a feeling of anticipation. Use this countdown to announce offers or an event on a specific day and display the time left for it to begin. If you are planning an offer for any of the upcoming events like Black Friday, Cyber Monday, Christmas or New Year, a fixed countdown timer is what you’ll need. Where can this module be used? You can use the evergreen countdown to display a limited time offer on purchases done within a specified time after they signup. Encourage users for an immediate purchase by displaying an evergreen countdown showing scarcity and exclusivity on the offer. You can display a special offer for every user telling him that he has only a couple of hours or a few minutes to avail it. A product launch or an inauguration of a new business branch; these announcements too can be accompanied with a countdown timer. Apart from these, you could put in your creative ideas and use the module in different ways. 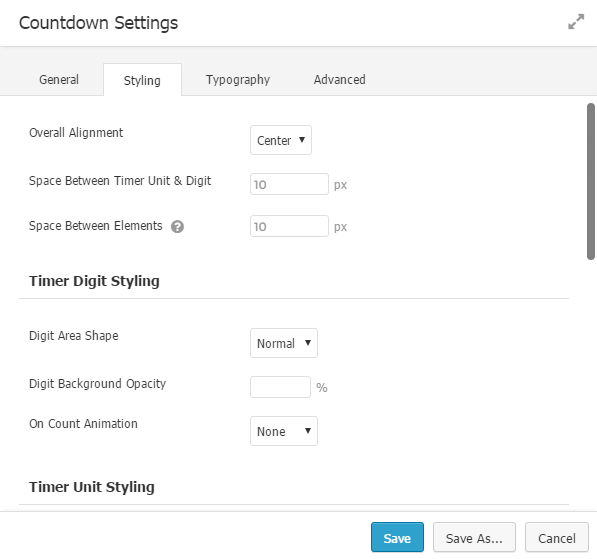 Select the Timer type – Fixed or Evergreen and proceed with the rest of the settings. Go ahead and work on some style settings to make it look good. You can choose which timer string you like to enable or disable.